Dinner sides. They really can make or break the meal! I’ve been looking at ways to make dinner sides the star of the show so that we eat more veggies. 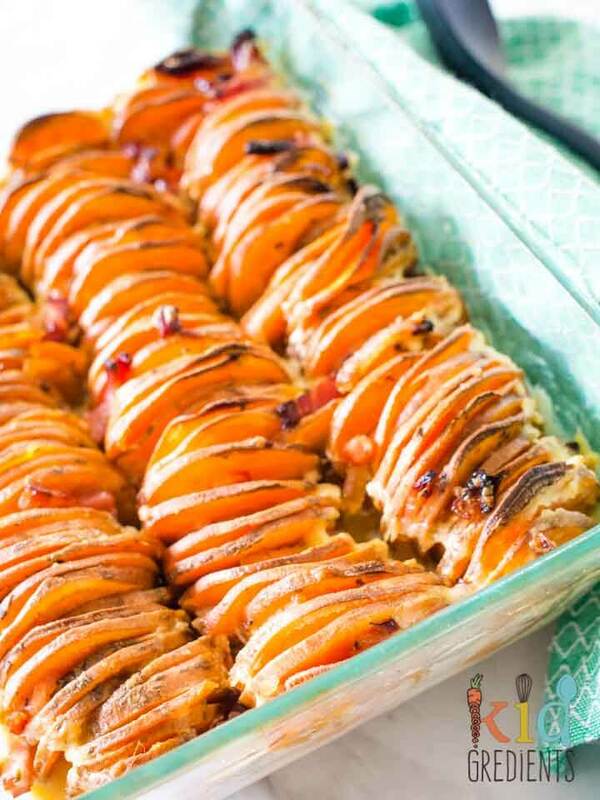 And this sweet potato bake with maple and bacon is the perfect way to do that. I stand the potatoes up because they look so pretty all stacked rather than piled on top of each other. 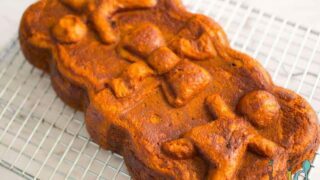 This is so yummy that the kids go crazy for it. 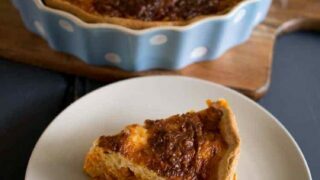 It’s the sweetness of the maple combined with the saltiness of the bacon that helps to make it taste so great. 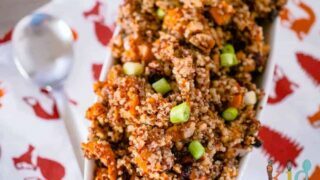 Making something like this for dinner doesn’t have to be super hard work, I have used my food processor to slice the sweet potatoes before with great success, meaning this is a quick way to have something that looks spectacular with dinner. 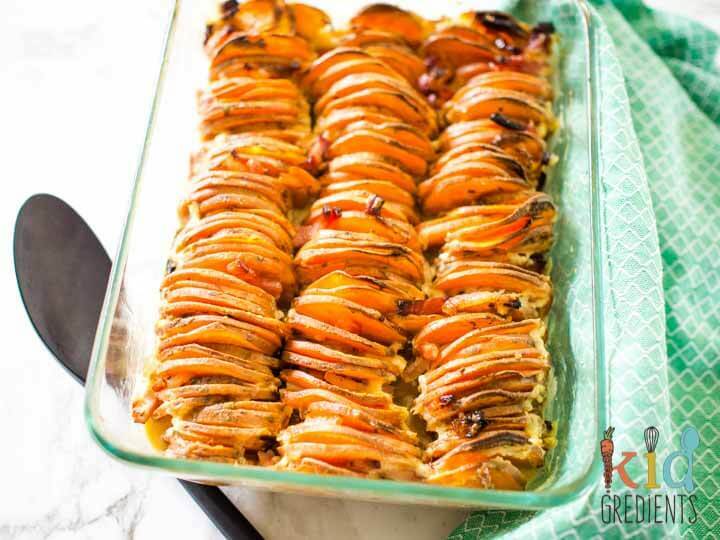 Although it takes about an hour to bake, all of that is hands off time, so you can be cooking this super yummy sweet potato bake with maple and bacon while you bath the kids, get homework done or just scroll instagram (no judgement here). If there is any veggie that I never really needed to convince the kids to eat, it’s sweet potato. I think that’s because there are so many different ways to use it. 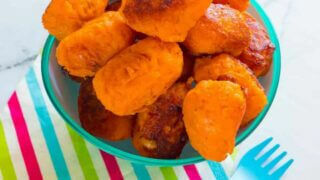 I started my sweet potato love affair late in life, we never had it when I was a kid, but my kids are really into it! 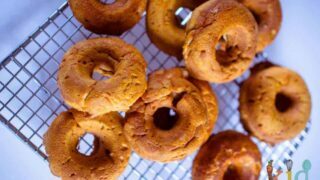 There are so many sweet potato recipes on kidgredients, make sure to check out some of the awesome ways you can use this super versatile veggie. Yummy! 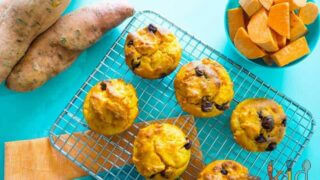 With sweet potato and dark choc chips, these don't need any other sweetening. 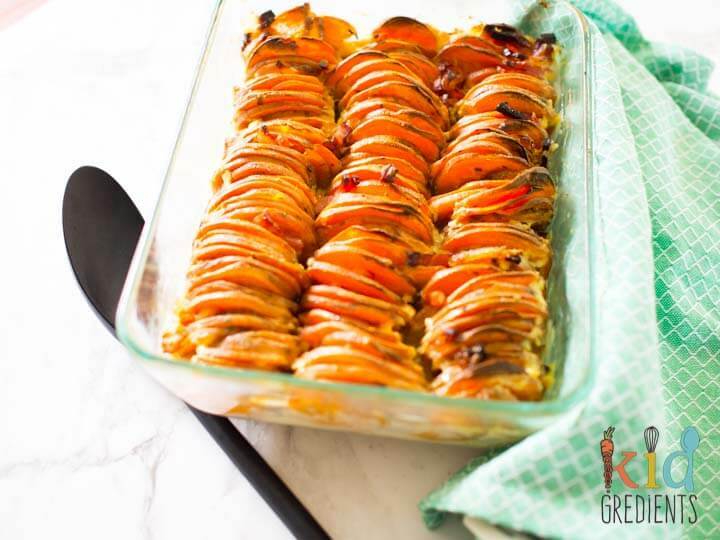 But I know what you want- the recipe for this beautiful sweet potato bake with maple and bacon! So let’s get cooking! 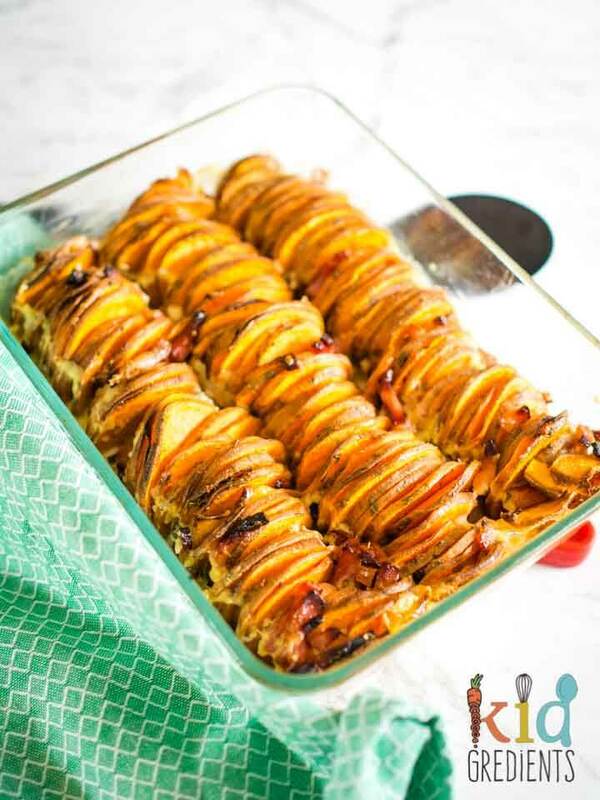 This yummy sweet potato bake with maple and bacon is set to become a family favourite side! 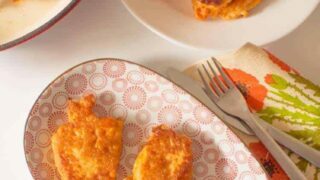 Easy to make and positively delicious and super kid friendly. Combine the bacon, maple syrup, olive oil and oregano in a bowl. Using your hands, mix the potato slices through it, ensuring they are all coated. 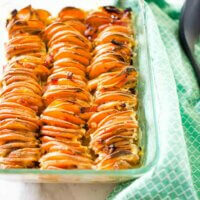 In your baking dish, start stacking the potato slices ensuring they have bits of the bacon mixture between them. Stack them tightly, because otherwise, they will shrink when cooked and there will be gaps. Sprinkle any remaining mix on top. Cover the dish with foil and bake for 40 minutes at 200 degrees. Remove the foil and add the cream. Pouring evenly over the top. Bake for 25 more minutes uncovered. 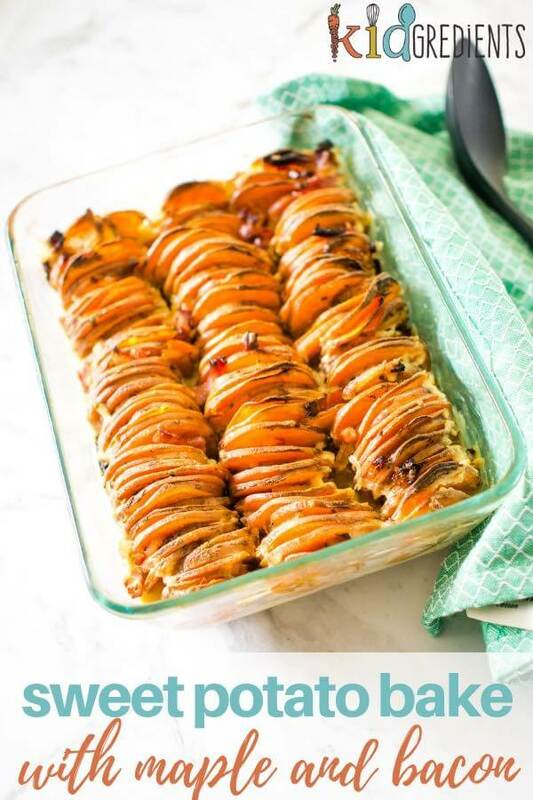 Test the potatoes with a fork, they should be cooked through, but if they were thicker than 3mm they may not be, so cook for 5-10 minutes more, checking again with a fork. 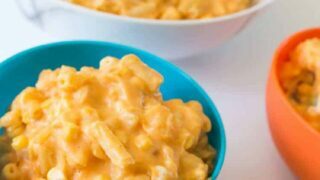 Clean up the dish (it will bubble up at the sides) and serve! I slice my sweet potatoes to 3mm with either a veggie slicer, my food processor or a sharp knife. If they end up thicker than 3mm slices they will need to cook longer.